You are at:Home»Skin Care»Oily Skin»6 Reasons Why It’s Good To Have Oily Skin! 6 Reasons Why It’s Good To Have Oily Skin! Do you spend most of the day in the washroom splashing water on your face? Do you get pissed off when your face shines unusually in a selfie? If you’ve to listen to me, don’t do this. You don’t know yet but your oily skin has the benefits of its own. Your naturally moisturized face doesn’t need any moisturizer or cream. This only one such example, but there are many which people still don’t know about. Research have also revealed that people who have oily skin show fewer signs of aging. This happens because oily skin doesn’t develop wrinkles easily, plus oily skin always appears smooth and soft. It usually happens that your face gets oily 2-3 minutes after washing. This adds sheen to your face. It’s a fact that people who have oily skin appear more dewy and youthful. And due to this, you don’t require any other illuminating cream for radiance. Those who have oily skin don’t develop wrinkles easily despite their growing age. Oily skin is a bit thicker than the other types of skin, thus, have a natural protection from his free radicals. This is the reason why they look youthful and their skin remains supple during all the time of the day. People who have oily skin doesn’t have to dab moisturizer every now and then as they are blessed with the naturally moisturized skin. This natural moisture protects their skin from aging and dryness. Their skin is naturally blessed with ample quantities of vitamin E, which is a natural antioxidant for skin. These antioxidants also prevent blood vessel diseases which include cancer. It protects the skin from harsh sun rays, pollution, and extreme chilly weather. Oily skin is smooth and free from flakes and dry patches. This makes it the perfect canvas for putting on makeup. A little moisture and oil on face enable the products to glide smoothly on the face and stay for longer times. Beauty experts find it really easy to apply makeup on the oily skin. It also prevents the makeup from becoming cakey. 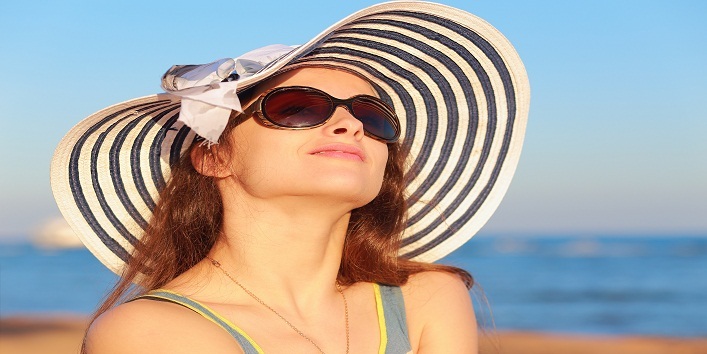 Sunscreen is perhaps the best way to prevent our skin from damaged caused by UV rays. But the oily skin amplifies the effect of SPF. So we’re a bit more protected than the dry skin folks. People who have oily skin are lesser prone to tanning, this is due to the added protection by the natural oils.